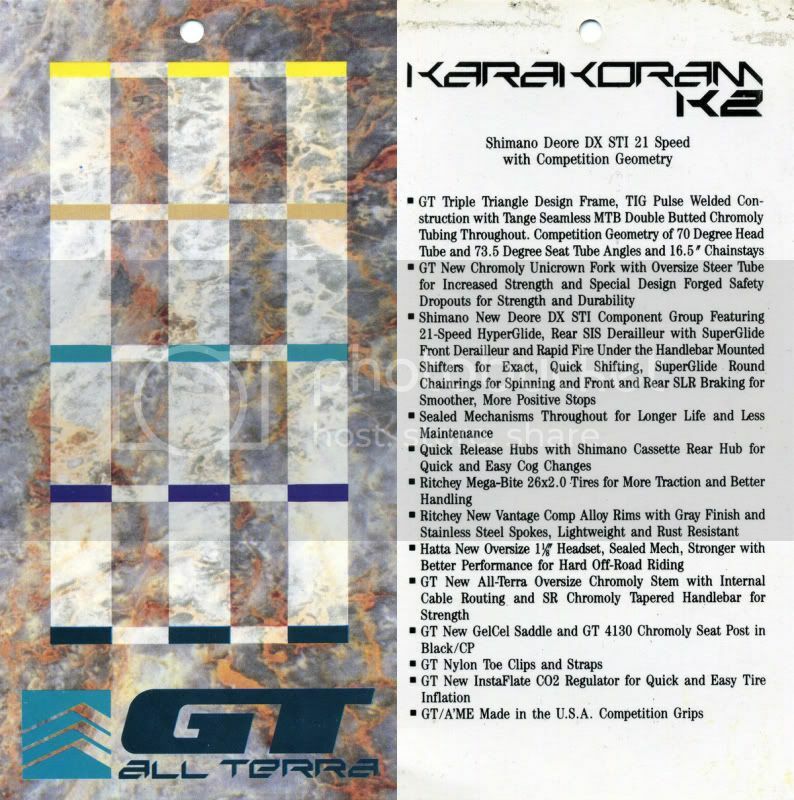 The Karakoram K2 was a model that was available 1989 and 1990. According to the decals you have the 1990 model. 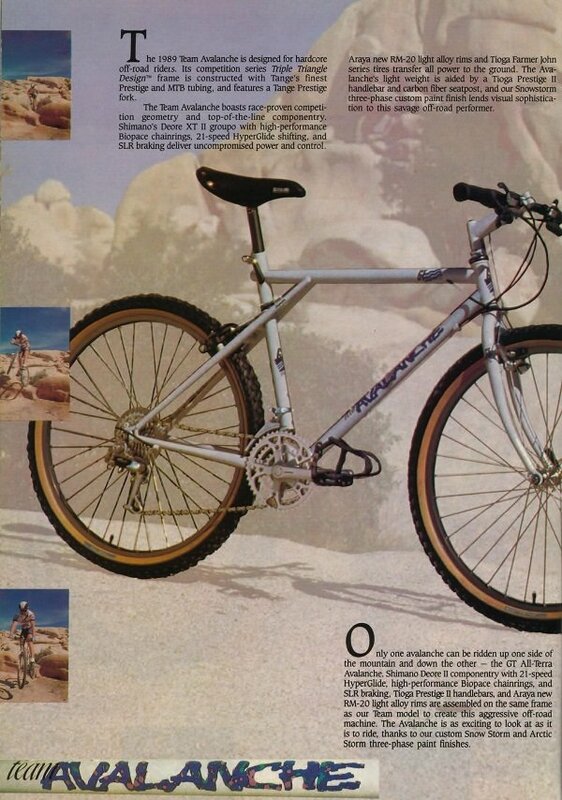 The Ritchey rim and the DX stuff should be original. The forks aren't. The Mag 21 (or similar 10/20/30) were not available until 1992 or so. K2 was later re-branded as the Elite. Liking the colour, did you managed to get the matching fork also? Thank you retrobikeguy and Rahbari good info on the scan. Unfortunately the original fork and 25% of the paint is missing. Bought for parts but will see how it rides and maybe touchup or respray . She has had a hard but hopefully fun life and I will try to extend it some. Cleaned up some and put back together. Rides nice and shock seems to hold air. Lotta worts but mech good.